This afternoon, lucky Hall H attendees at Comic-Con International: San Diego 2018 were able to see the first trailer for Aquaman, as well as some additional footage. For those of us not able to be there, this trailer gives us more than enough to digest and look forward to from the film release this winter. The trailer starts by giving us Arthur Curry’s origins, born to a lighthouse keeper and sea queen Atlanna (Nicole Kidman), then dives in headfirst to what will likely be the main story of the film. Mera (Amber Heard) seeks out Arthur (Jason Momoa) telling him that his half-brother King Orm (Patrick Wilson) is about to declare war on the surface world, and that he needs to take his rightful place in Atlantis. We also get to see Black Manta (Yahya Abdul-Mateen II) fully suited-up and in action, though director James Wan says that Orm is the main villain of the film. From this trailer, the movie certainly looks like it will be quite the ride. There seems to be lot of world-building for Atlantis, and the visuals are absolutely stunning. 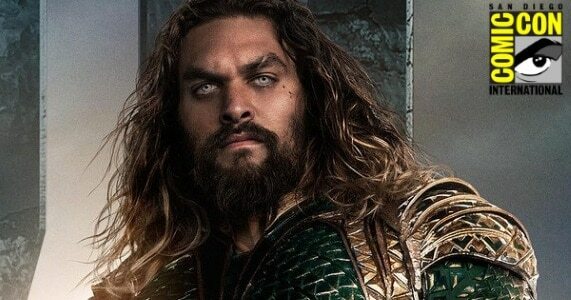 It looks like Aquaman will not shy away from humor, much like his character did not in Justice League. Some of the additional footage shown to the Hall H crowd included a better look at Arthur and Mera discovering Atlantis, a look at Black Manta, and a moment (possibly a flashback) where Kidman’s Atlanna fights with a trident. While this was limited to the room, the trailer gave us plenty to theorize about for quite some time. Action Lab Entertainment’s SDCC 2016 Exclusives! 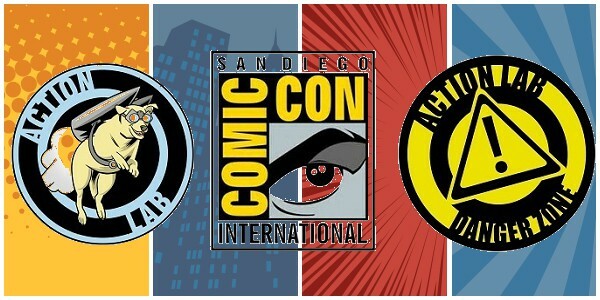 July 10, 2016 Jason Bennett Collectibles, Comic Book News, Conventions, independent Comic, Pop Cult News Comments Off on Action Lab Entertainment’s SDCC 2016 Exclusives!